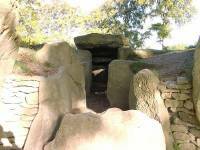 Waylands Smithy - Faringdon Community Website. WAYLANDS SMITHY is not a blacksmiths shop. 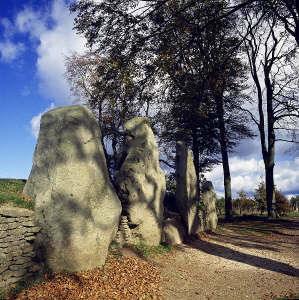 It is a Neolithic long barrow approx 5000 years old with 4 large standing stones at the entrance, and marker stones along the sides of the barrow. It is surrounded by a ring of beech trees. Wayland, the smith, was a god in Saxon folk lore. He excelled at metal craft and the Saxon poets claimed that Gods and Kings were proud to possess his work. 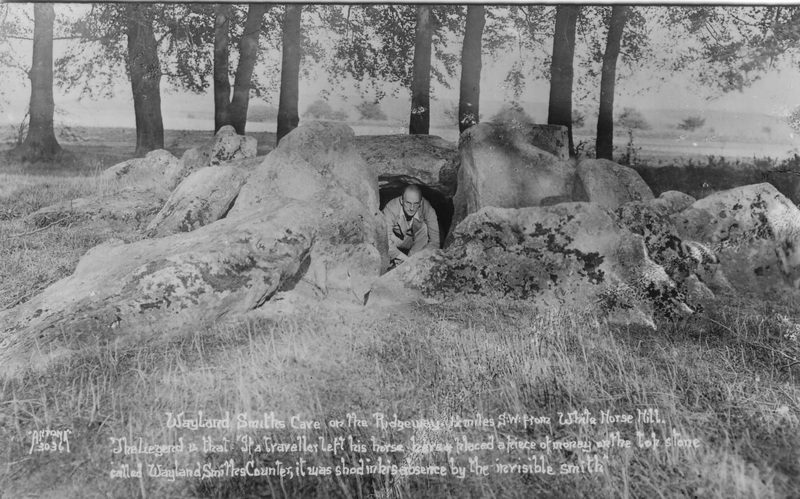 Wayland was captured by Niduth, a Swedish King, and imprisoned in a deep cave. He escaped on wings he had fashioned, after killing the king’s two sons. He then disappeared, but was reported as living in caves and burial mounds in Western Europe. The RIDGEWAY was a major trading route dating from 2500B.C. or earlier. The track keeps to higher land, avoiding low, wetter, heavily wooded areas. It runs for 85 miles. From Ivinghoe Beacon nr Tring, Herts to Overton Hill nr Avebury. But the path is said to be longer - from Axemouth in Devon to The Wash in East Anglia. It is managed by the English Heritage.